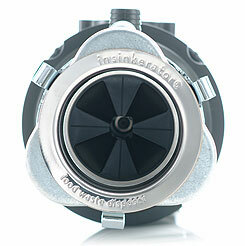 The entry level InSinkErator model, it is suitable for lighter use in smaller households. 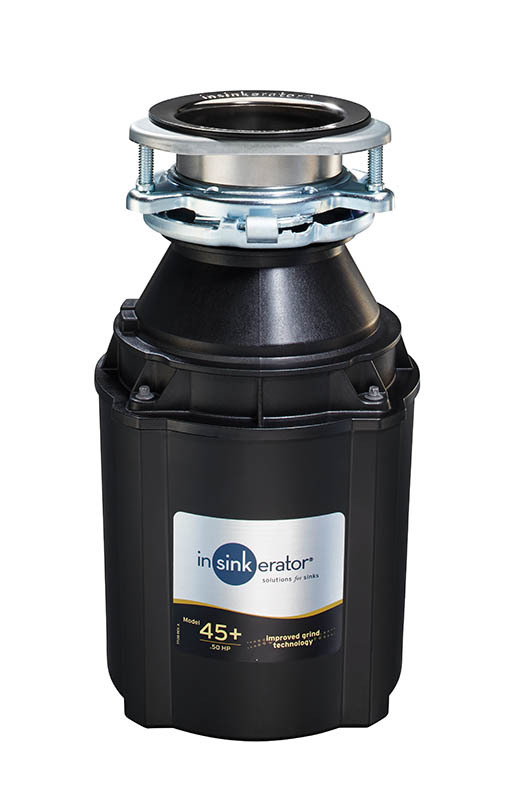 InSinkErator® Airswitch. The Air Switch provides a safe and easy way to turn the disposer on and off. A simple push-button switch sends an air pulse through a thin plastic tube to the disposer switch unit. This activates/deactivates the disposer and eliminates the need for a separate wall switch. Ideal for an ""island sink"" with no wall to place a switch. Standard built-in feature on the Model 65+, Model 66, Model 55+, Model 56, Evolution 100 and Evolution 200. Available separately for 45+ and 46. It makes installation easier.